Calling all WoWers (or anyone who wants to donate)! Yep I made it. 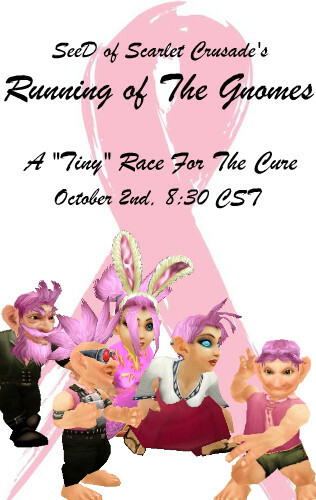 My gnome's name is Pinklady. :P Was in the back most of the time due to really bad lag, but I had a great time! I started getting AWFUL lag when we got to BB. So I kept falling off the roof while trying to move. It failed so bad. XD After the first little bit I'm not going to lie, I got lazy and just hit the follow button on Bram.